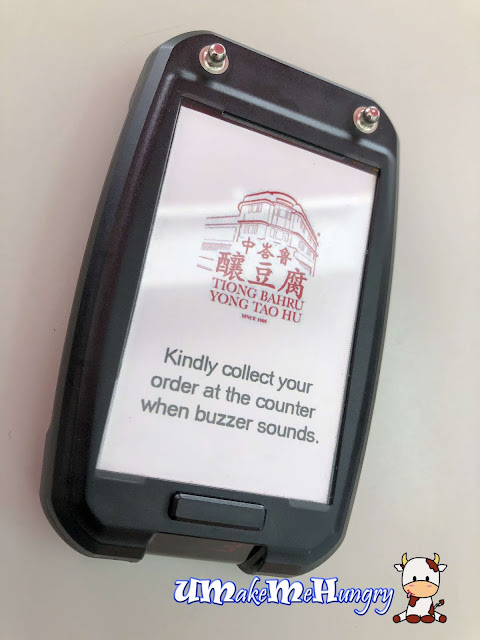 If you like the style of having Yong Tau Hu items fixed in a bowl, without having any choice to select your items. 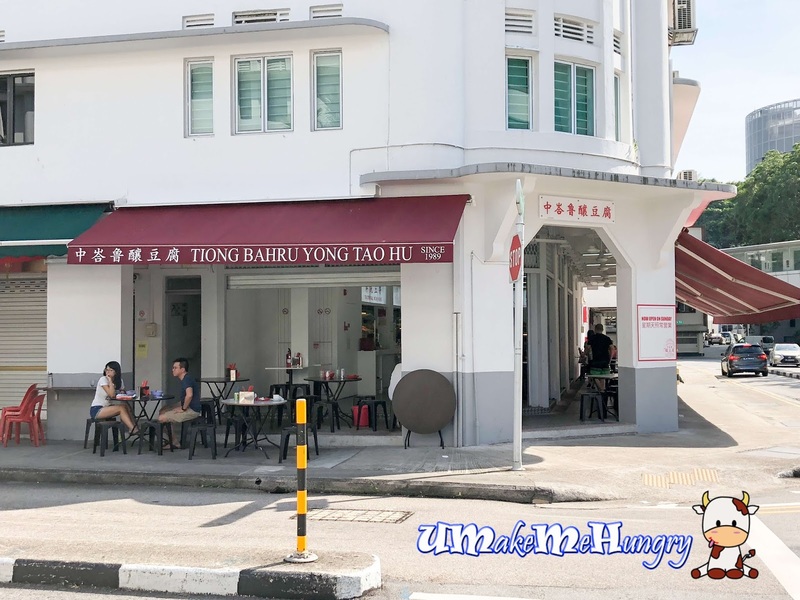 You might want to try out Tiong Bahru Yong Tau Hu located in this renovated Coffeeshop (It used to be old fastion Coffeeshop). 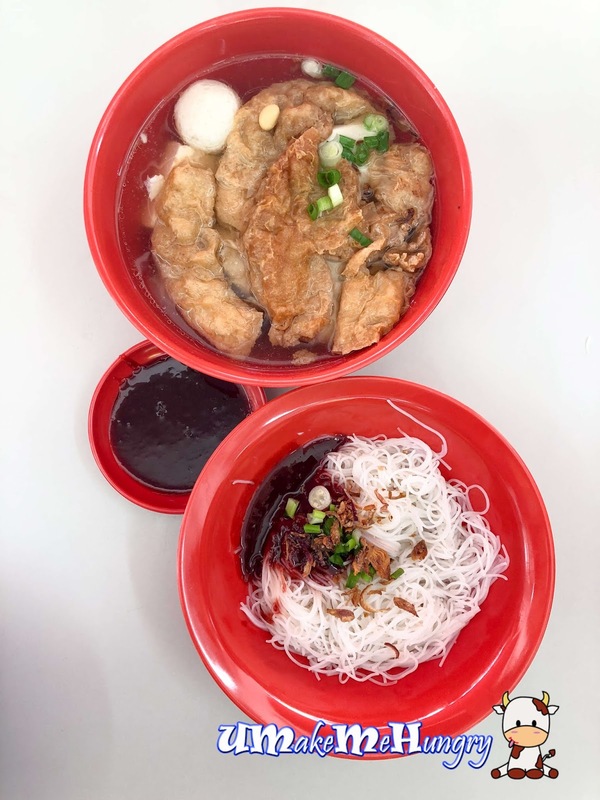 They are one of the longest standing traditional Yong Tau Hu Stall. The Yong Tao Hu menu is in its simplicity form, you can either choose Beehon Dry or Soup, Small or Large. Priced at $5 and $7. No other available noodles option given. Likewise for the ingredients, there is only soup or dry, 4 food items in the list. 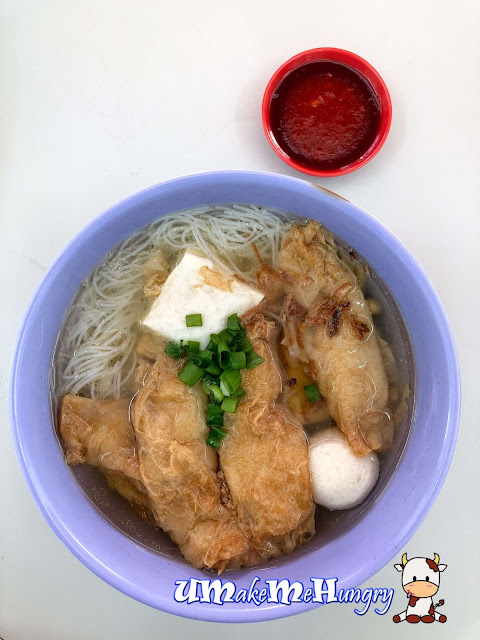 There are only 4 kinds of Yong Tau Hu Items, Tau Kee with Fish Paste, Tofu, fishball and Bee Hoon, quite straight forward and no complications. These items are all hand made daily, ensuring its freshness. The soup is clean tasting and nutritiously good, making up of soy beans. Totally a simple and comforting meal to start our day. 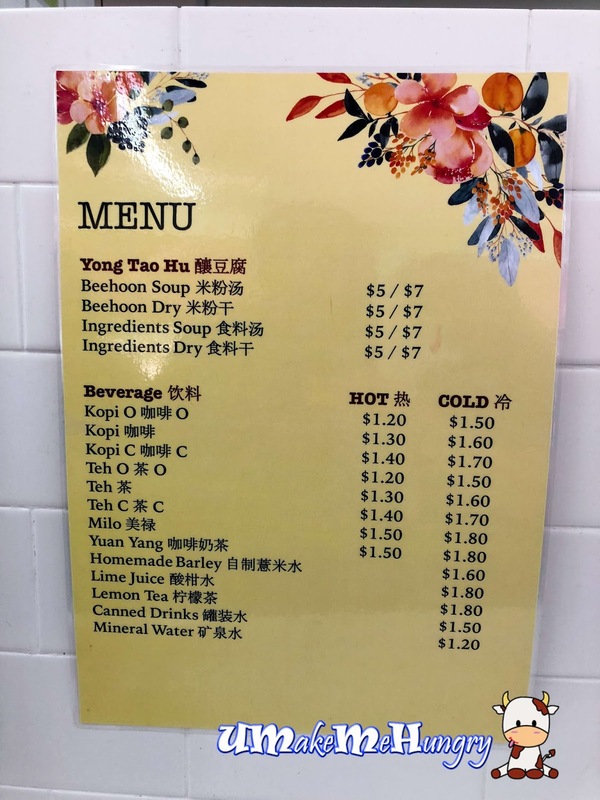 In the same coffeeshop of Tiong Bahru Yong Tao Hu, there are 2 other stalls, drinks and Wu Xiang Stall. We ordered the Wu Xiang for sharing and were given a buzzer while they are preparing the food. There are fried bee Hoon to go along with the Wu Xiang Items if you want. Too bad that my favourite item on the plate was not runy enough and instead the century egg tasted a tad on the dry side. It's good to revisit such traditional food items once a while. If you want to enjoy plain yet deliciously fresh handmade Yong Tau Hu, beside the ones in China Town Hawker Centre, Tiong Bahru Yong Tau Hu style is quite similar and with over decades of history.